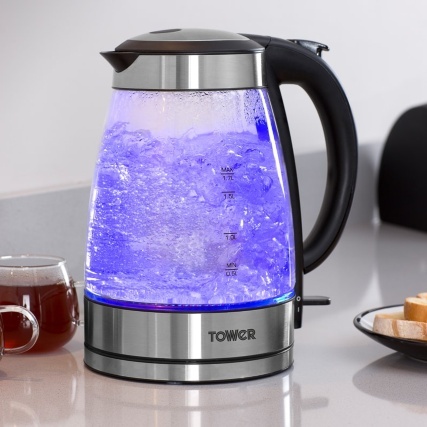 Easily prepare up to 7 hot drinks at once with the stylish and durable illuminating Tower Glass Kettle. 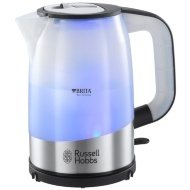 The unique crystal-clear Schott glass body lets you view your water as it boils, while the stylish blue LED effect creates an eye-catching feature when in use. 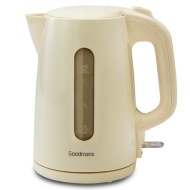 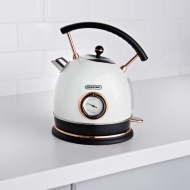 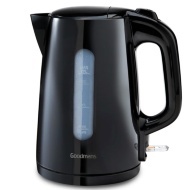 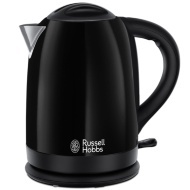 3kW provide a quick and efficient boil, while the flip-open lid makes it simple to refill and clean the kettle. 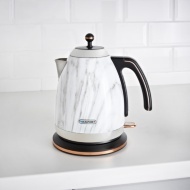 A 360 degree base makes the kettle suitable for both left and right-handed users, whilst integrated cord storage allows you to neatly tuck away the kettle in your countertop when not in use. 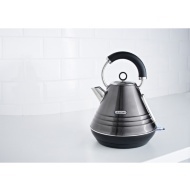 Browse more Kettles online and buy in-store at B&M.